Fred Bronson: You surprised me at MIDEM this year when you referred to yourself as “an ex-pop star.” For many people, ABBA is still part of the present, though the group hasn’t been together for 17 years. How much of ABBA is part of your past, and how much is part of your present? Björn Ulvaeus: Right now, a lot is present. Before I started working on Mamma Mia!, there were many other things that were “present,” so ABBA was something of the past, although one is reminded of it all the time. The fact that people are still interested after 25 years is flabbergasting; it’s not real. FB: It’s very similar to Star Trek. After three years on TV, the series was cancelled, and that was the end of it. But the fans wouldn’t let go, and it was only through their persistence that the films were made, as well as three other series. Instead of disappearing, it became a billion-dollar franchise. Would we have had this ABBA revival for the last seven years if it hadn’t been for the fans? BU: No, I don’t think so. They’re extremely important and loyal, and have been for such a long time. And I suppose there are new ones coming in all the time. I’m grateful to them. 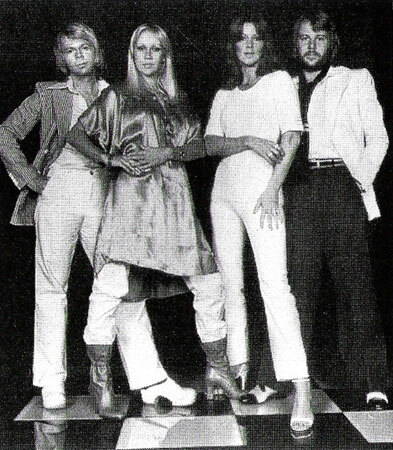 FB: Let’s go back to a time when there were no ABBA fans. When you were growing up, did you watch the Eurovision Song Contest? BU: It wasn’t that important to me. I remember certain songs, like Puppet On A String. They were really good songs in the beginning; people took an effort. FB: Your first Eurovision experience pre-dates Waterloo by two years. You entered the Swedish Melodifestivalen with Better To Have Loved, a song written for Lena Andersson. BU: She was huge in Sweden at the time. We were working in Polar Music’s office from 9 to 5 as songwriters and producers. She was to enter Eurovision and had to have a song, so we wrote one. We wanted to break outside the borders of Sweden. That was one of the first attempts. The only launching pad that really existed for us was Eurovision, because to send songs out was hopeless. No one ever paid any attention. FB: She didn’t win that Swedish heat, but you entered the following year as songwriters and artists on Ring, Ring. And that song wasn’t chosen by the judges in Sweden to go to Eurovision. BU: There was an uproar in the papers from people writing in, “How can you chose the wrong song?” It was so evident, and Ring, Ring became a huge hit and the other one just a minor hit. FB: What was the winning song called? BU: The straight translation into English would be Your Breasts Are Like Nesting Swallows. FB: After not being chosen to represent Sweden at Eurovision two years in a row, you weren’t discouraged? BU: No. We had tremendous self-confidence because of the huge hit we had with Ring, Ring all over Scandinavia and Holland and Belgium. And we weren’t discouraged, because we knew they were going to change the jury system. FB: Instead of “experts,” Sweden asked a jury made up of the public to choose the entry for 1974. And you had to choose between two songs to enter, Hasta Mañana and Waterloo. BU: It might sound ludicrous today, but then it was quite a hard decision to make. Hasta Mañana was a solo for Agnetha and a good tune, more in the Eurovision vein than Waterloo, because it was much more fun to perform. It was riskier. We took a chance, knowing it was going to be different from all the others. It could have been Hasta Mañana, and this would never have happened. It would never have won. FB: Were you certain that Waterloo was going to win? BU: We were not in any way feeling like favorites. That’s how it seems now to everyone, but being there – Olivia Newton-John, for heaven’s sake! And I think Mouth & MacNeal had a huge hit before. FB: Most people think of Eurovision as a three-hour television show, but it’s actually a week-long event that includes rehearsals, press conferences and parties. What do you remember most about that week in Brighton, England? FB: You remained in the U.K. the day after your victory. BU: Everyone left immediately. We stayed on at the hotel for one day, just talking about what might happen now. Planning and thinking, trying to realize that we were in that situation all of a sudden. The world was opened to us. You can imagine–you go to Brighton, and you are this band which is very well-known in Sweden but not outside. And bam! One night, and it all opens up. And, if you have something to deliver after that, it is a launching pad. Nothing was like it. FB: How soon after Eurovision was the single of Waterloo issued? BU: Stig prepared the release of the record. They shipped them the day after, not just in the U.K, but everywhere. FB: You were signed to different labels in different countries–Epic in the U.K. and Atlantic in the U.S., for example. Was this by design? BU: This was Stig’s idea, again. He said this label is better in this country, that label is better in that territory, so we went with that. FB: Waterloo made the top 10 on the Billboard Hot 100, which was unusual for a Eurovision Song Contest winner. Did the U.S. success surprise you? BU: Not really. Any record that has that kind of success in Europe, the Americans were bound to be curious about. So it got played a lot. It was more rock ‘n’ roll than schlager. FB: There was no avalanche of hits after Waterloo. What happened? BU: It was a very difficult period. The obvious song to release was Honey, Honey, which had been covered [by Sweet Dreams in the U.K.]. But we thought we should release something that was more rock ‘n’ roll. So Long was more in the vein of Sweet and Mud and all those groups. That was a mistake. But everyone had decided we were a one-hit wonder because we came from Eurovision. And, with very few exceptions, they are one hit wonders. So that helped, especially in the U.K., to hold us back. We didn’t have anything really good on that first album to release [as a single]. We tried a remix of Ring, Ring, but everything failed. So it was back to writing. And we did every television show in the U.K that we could; we worked really hard. We went back to write and be better, not thinking “hits.” It was the same attitude we always had: be as good as possible, treating every song as though it could be a single, never knowingly recording “B” tracks. FB: It would have been easy for your label in the U.K. to give up on you. BU: Yes. All of a sudden, it wasn’t a Rolls Royce when they picked us up at the airport. That was a clue! It was an uphill struggle. I still remember thinking to myself, “Maybe that’s all it was.” I don’t remember that with fondness. But then S.O.S. took us back. It was not No.1, but top five. With Mamma Mia, it started in Australia, and everywhere else. FB: You went on to have nine No.1 hits in the U.K., but, in the U.S., Dancing Queen was your only No.1. Did the U.S. market feel like a struggle for you? BU: We always felt like we’d give them three days and they wanted three months. We didn’t want to travel that much. It was easy to go to Hamburg and do television and then go home. But America, they wanted us to tour. If you look at other groups that made it in America at that time, there’s not one that didn’t spend months and months in the States, either playing or going to radio stations. We were not prepared to do that. We said, “OK, so we’re not big in America. We don’t care. We don’t want to go.” Having a child was a big factor, too. 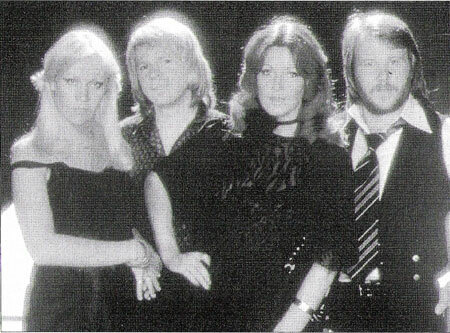 FB: What were the most outstanding moments during the time ABBA was a group? BU: We never met any politicians of the sort of stature you would have thought. But there were great personal moments. I can remember, to this day, the great kick Benny and I had out of writing The Winner Takes It All, when we wrote the melody. I had a great kick out of Super Trouper when we heard it played back. FB: What do you think of ABBA’s popularity today? BU: The 1970s were bound to become nostalgia, as all other decades have. Usually, when there’s a nostalgic wave like that, the ones who were in the forefront become the standard-bearers. I think they get more attention than the others who had one or two hits. Other than that, I don’t know. It’s up to others to decide why, I think. They get more attention than the others who had one or two hit hits. Other than that, I don’t know. It’s up to others to decide why, I think. FB: The resurgence of interest in ABBA can be traced to Erasure’s ABBA-esque EP in 1992. BU: We were immensely flattered. And they didn’t try to copy us at all; they did it their way, which was very good. I totally enjoyed it. FB: Are you surprised the resurgence has gone on for seven years now? BU: I’m completely surprised. When we took that “break” [in 1982], I thought that was that. Forget about it, it’s not going to mean anything more in my life. That was stupid, of course, but that’s the way I felt. We were on to this musical and new and different things, but ABBA was something people would forget. So you can imagine my surprise when it wasn’t quite like that. I don’t know if it has anything to do with the fact we never made any kind of comeback. I don’t think there’s any other group with that degree of success that hasn’t had a comeback. FB: The pressure must be incredible, and not just from the fans. I’m sure people have offered you a lot of money to come back for a day, a night, an album. What do you say to them? BU: We’ve had ridiculous offers for just one television show. We just say no. If we were to come back – which is not going to happen – the motivation has to be something completely different from money. It has to be the feeling that we have something to give. FB: Meanwhile, you and Benny are about to have your third musical open. That’s if you don’t count Abbacadabra!, which played at the Lyric Hammersmith in London during the Christmas 1983 season. FB: So he took your songs and wrote new French lyrics to fit the story. BU: And then Cameron Mackintosh got interested and wanted an English version. The lyrics were by Don Black, and Elaine Paige was in it. I never saw it. FB: Did having your songs performed in a stage musical like Abbacadabra! inspire Chess in any way? BU: No. Our interest in drama with music had started much earlier than that. We talked about it as early as 1975, 1976. We talked about not only writing a song that is three or four minutes, but something that is within a context where you have to adapt to a dramatic flow. Our first attempt was a tour we made at the end of the 1970s, in which we had mini-musicals called The girl With The Golden Hair and Thank You For The Music. It was a very loose little story. We discussed [writing a musical] more in 1981, when we weren’t having as much fun in the studio anymore; we were really running out of energy. We said, “Let’s do something else for a while.” Benny and I went off to write a musical, and the girls did their solo albums. It was never the intention that we should stop forever. FB: The musical turned out to be Chess, written with Tim Rice. Were you and Benny theatergoers? BU: No, and not really musical fans, either. It’s very strange, isn’t it? We liked the old classics like My Fair Lady and West Side Story, but it was Tim and Andrew [Lloyd Webber] who really kicked our interest, because what they did was so different and exciting. FB: When did you first get the idea to do your next musical, Kristina Från Duvemåla? BU: At the end of the 1980s, we decided to write a new musical. We wanted a really strong story, which wasn’t the case with Chess. We said, “When the English write musicals, they search their literature, so why shouldn’t we search ours? Vihelm Moberg is one of our most famous authors, so we decided on that one although it was very dangerous because he’s close to God and you don’t mess about with his stuff. We got the rights immediately because his children thought it was a brilliant idea. It opened in 1995 in Malmö [Sweden]. FB: The novel is about Swedish immigrants coming to America, and you decided to write it in Swedish. BU: That was a big decision. But, since that was the novel we decided on, it was clear we’d be silly to try and write it in English. But I’m currently translating it. As soon as Mamma Mia! is out of the way, I will start again in earnest. I’m 20 to 25 minutes into it; the show runs under four hours. FB: Do you have a target date for opening Kristina in the U.S.? BU: We are working with the idea of starting it in Minneapolis and then taking it to Broadway. It’s still playing in Stockholm. We’ll finish in June, then it will have played to over 1 million Swedish people – one-ninth of the population. FB: And now your next musical, Mamma Mia!, opens in London’s West End on April 6th, 1999. It just happens to be 25 years to the day after you won the Eurovision Song Contest with Waterloo. Who planned to open the show on your silver anniversary? BU: How am I going to explain this to people? It is coincidence. We decided on that date, and then, a couple weeks after, someone said, “But that’s…” and it was a complete shock to me. I did not know! But it is an omen, isn’t it?